Since the latest version of the Chrysler 300 came out in 2011, we were expecting a new restyling shortly for the full-size sedan. 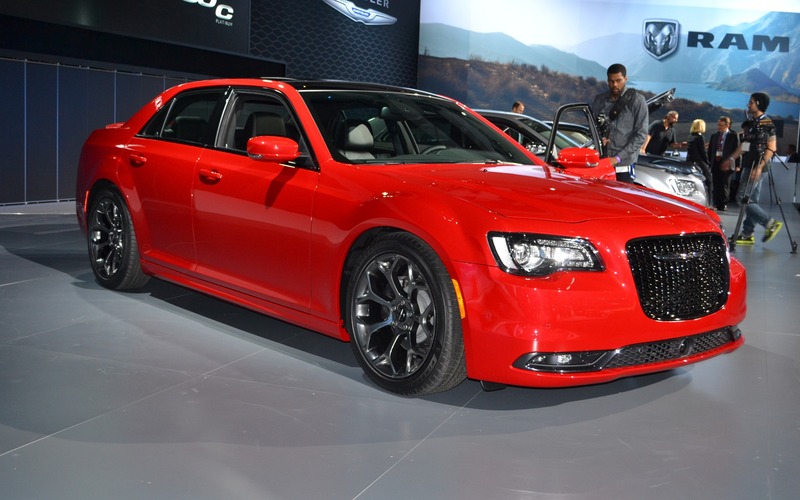 At the Los Angeles Auto Show, the manufacturer unveiled the 2015 version of the 300. While the general appearance stays roughly the same, there a slew of small visual differences. The most obvious change (like the nose in the middle of a face) is on the front of the car: the grille has been enlarged, the lower bumper is redesigned and you can clearly see the influence of the Chrysler 200 on the brand’s image. The rear also gets new taillights, better integrated exhaust tips and some esthetic tweaks to the rear bumper. Inside, the materials are of a better quality, especially the leather in the seats and steering wheel. Between the gauges, there is now a 7-inch information screen as standard equipment. The Uconnect system now has an 8.4-inch touchscreen, and it can be fitted with a portable WiFi hotspot. The drivetrain selection remains unchanged, which means that standard models get the 3.6-litre V6 that is still with us. Higher models get the 363-horsepower, 5.7-litre HEMI. Both engines can be equipped with an AWD drivetrain, and they come with an 8-speed automatic transmission. Production of the 2015 Chrysler 300 will start before the end of the year, and we can expect pricing to stay the same as the 2014 models.